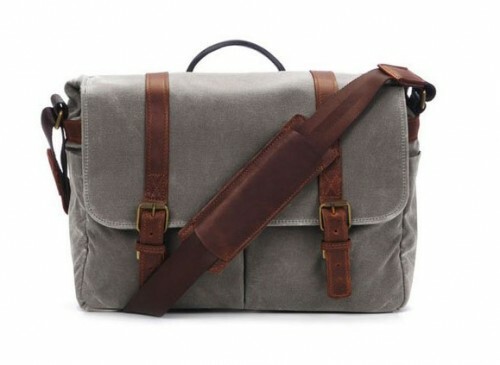 This is a classy DSLR Shoulder Bag called the Brixton Camera and Laptop Messenger Bag,Smoke . It’s pricey, but has just the right look. This would make a great gift for the video person in your life. It’s Handcrafted with premium Waxwear. Features a secure antique brass tuck-clasp closure.